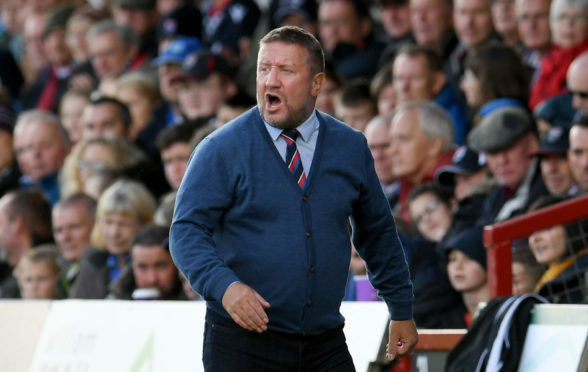 Caley Thistle manager John Robertson believes his side has proven they are genuine title contenders in the Championship this season. Inverness relinquished top spot in the division following a goalless draw at Highland rivals Ross County on Saturday. However, Robertson believes the fact his side left Victoria Park disappointed not to have taken all three points against the title favourites shows not only the quality in his squad but also how far the team has come in the last 12 months. He said: “We’re disappointed only to come away with a point on Saturday. Before the game we would have taken it but having seen a team with double the budget we have and a big strong and experienced squad we’ve shown we deserve to be up there. “I’m delighted with the attitude and the commitment from my players. My goalkeeper had nothing to do, our back four is solid, our midfield is tight and compact and broke well, and we created more than enough chances to win the game. Ayr United were the team who took advantage of honours being even in the Highlands as they moved top of the table but Robertson expects the leading position to change on a regular basis in what is shaping up to be a keenly contested title race in the second tier. He said: “We’ve said before leagues are not won at this time of the year. It’s the first round of games and we want to win as many as we can and then reassess after nine matches are played and see where we are. “This is another point towards the total and with two home games up next we will try to take maximum points and then we go to Tannadice for the last game against Dundee United. After then we’ll look at where we are at in the league and I’m sure other teams will do the same. “This is going to be a snakes and ladders league and teams will have turns at being top of the league at various points of the season.